Three levels of sponsorship for VOICE exist: Individual ($25), Student ($10), Senior ($10). Although non-sponsors are welcome at all VOICE events, sponsorship provides you with several benefits. These benefits include voting privileges on VOICE decisions, and access to special deals we will have with vendors. Your application for Sponsorship will be processed upon receipt of your payment of sponsorship units. Confirmation of receipt and sponsorship number will be sent to your e-mail address as given at payment time. Please read the VOICE Bylaws and our Code of Ethics. Online Payment Form (Courtesy of BMT Micro) - this includes payment via a Personal Cheque as well as various electronic payment options. Online Payment Form (Courtesy of Arca Noae ) - this includes payment via a Personal Cheque as well as various electronic payment options. If you send money this way, please read the last paragraph of this page. Note: Do not send checks or cash money; in the Netherlands it is very expensive to process a check! send you a PMMAIL license. Sponsor the QT/new browser development done by BWW work. If you want to make a donation to support the development of a new QT version/new browser. You can use the button Paypal button below to make donation. Your full donation will be send to BWW work. For more information why this project was started and status please visit our website: https://articles.os2voice.org/. 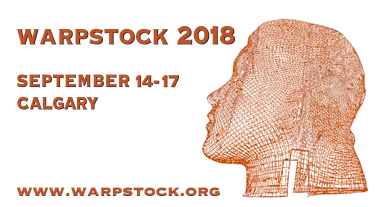 Buy your access for Warpstock Europe 2019.